Yet Ford Performance DID work harder, and are not being allowed to enjoy the fruits of their hard work even though it was within the rules. How does that work!? This nonsense, which is subject to bias, can be done away with simply by writing a set of rules that are the same for everyone and letting the teams go at it. No concessions, no revisions -- none of that farcical untenable nonsense! 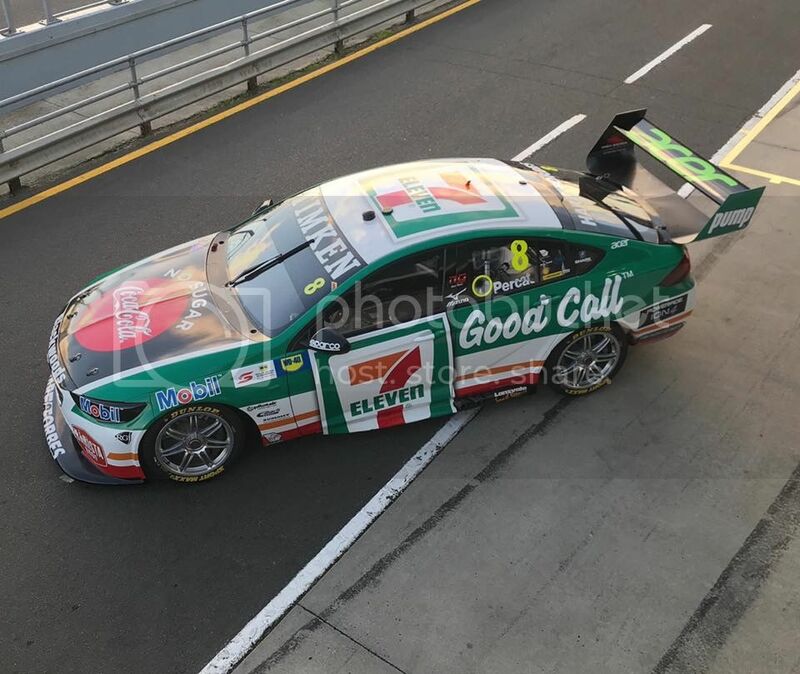 Did you had the same view last year when DJR put pressure on Supercars to have the rules changed so they could fit a composite roof skin? Twelve months later DJR exploit the same rule even further and now it should be left so they can enjoy the fruits of their work? Yes, that would be great if you're a ford fan, but not so good if you're not. A year of Mustangs winning all the races and taking up the whole front of the grid is bad for the sport. I'm a Holden fan, but I don't want to see Holden win all and every race, as I am a bigger fan of the sport. Failed Erebus with the Mercedes too! There have only been 3 rounds thus far where Mustangs have shown strong form. Versus how many years of 888 dominating everything? But it's only now we need to inhibit a winning edge for "the good of the sport". You talking about when 888 ran Ford also? 888 fan back then were you? come on tell the truth. Mustang taking five of the six grid positions SM driving away from the rest of the field and pulling a large gap within four or five laps of the race. having to move round 30 Kgs into the roof of their car after crying about a lot less weight than that the year before. The year they won the championship. Parity who has a problem with an even playing field? Even with the COG adjustment, they'll still be at the front of the field. They claimed the FG-X was at a disadvantage last year, yet still won the championship soundly. The amount of whinging from the Ford teams' fanbase is unsubstantiated. For what it's worth, I don't have a foot in either camp. I just enjoy the racing for what it is. Even moreso, when it's close racing. Last year's championship was decided at the final round. Is that close racing by your definition, or does it constitute winning the championship soundly? I'm a Holden fan when it comes to v8 racing, but in every day stuff I like Fords and Mopar. I don't have a Holden tee shirt. You are right when it comes to crying, ford fan do it best. Lots of practice maybe. The FG and the ZB I think were a very good match. look at the ZB side profile it's like a concrete block wall in the front.